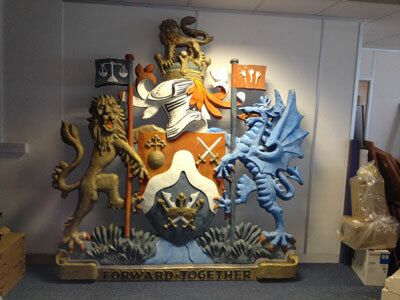 In January 2016, Eastcote Sign & Display was asked to refurbish Brent Council’s coat of arms. 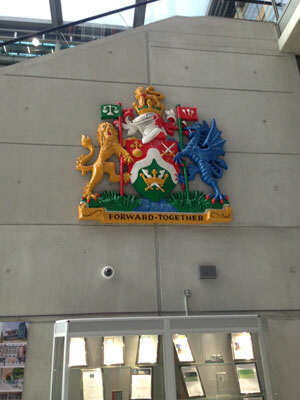 The coat of arms had been displayed outside the Town Hall, however it was in need of some TLC before it was moved to the new Brent Civic Centre, following the sale of the old town hall building. Below you can see the condition of the coat of arms before the restoration. 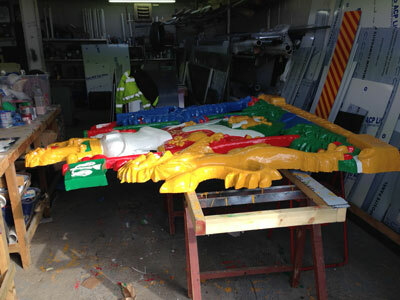 The coat of arms was then completely repainted in the workshop. 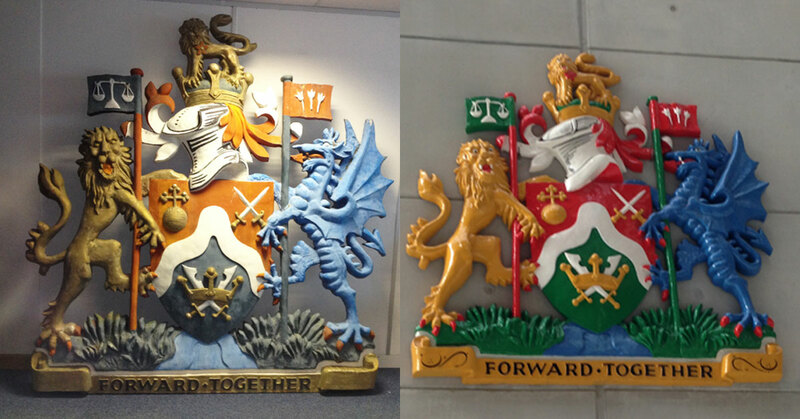 After the restoration, we worked in conjunction with Steve Tavinor from Flitwick Construction to install the coat of arms at the new Brent Civic Centre.